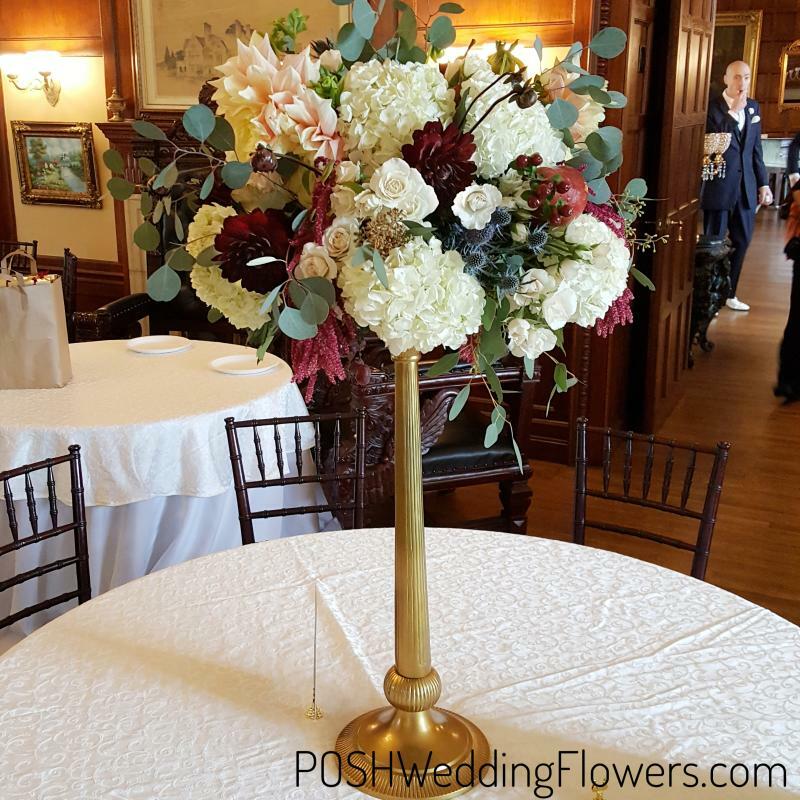 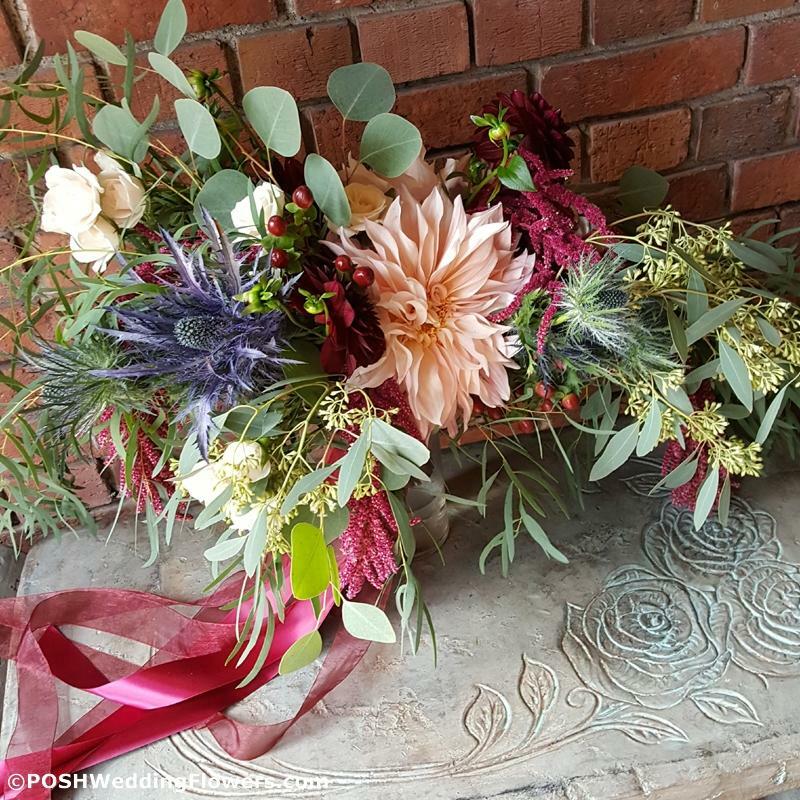 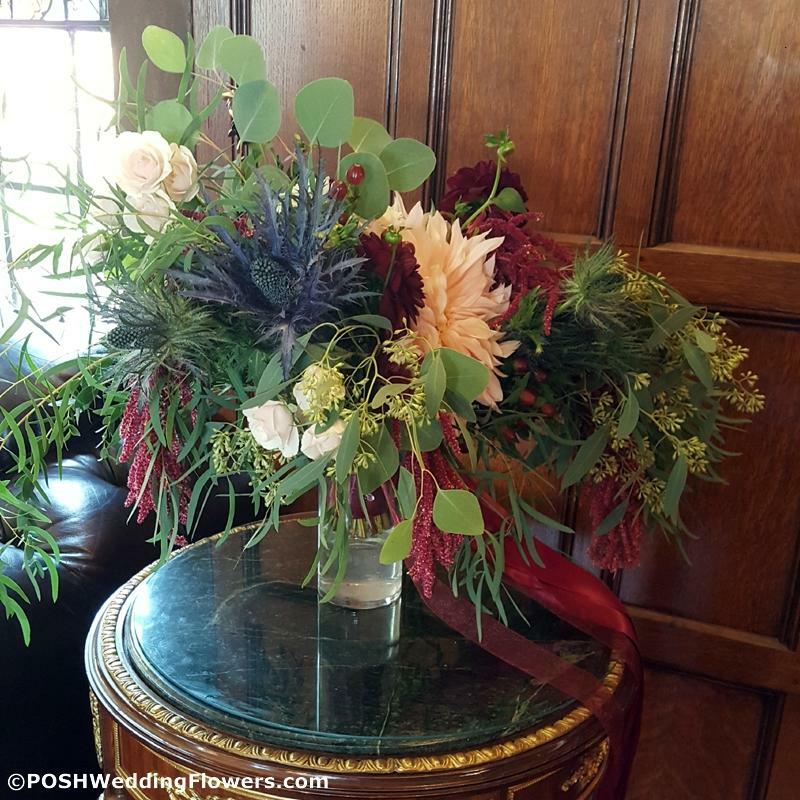 Victoria wanted her bouquet to be BIG and wild – a statement piece. 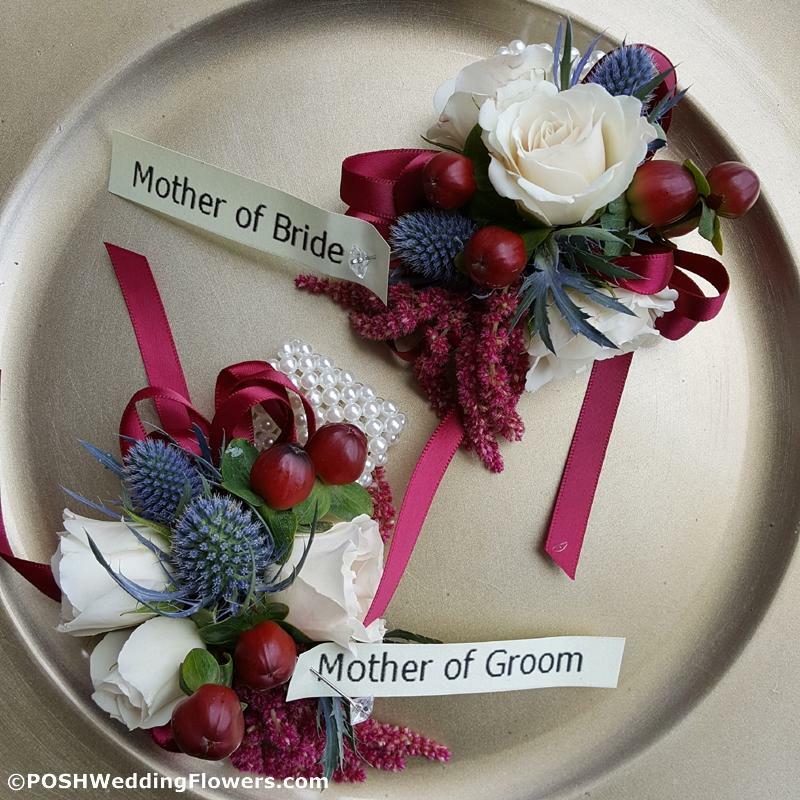 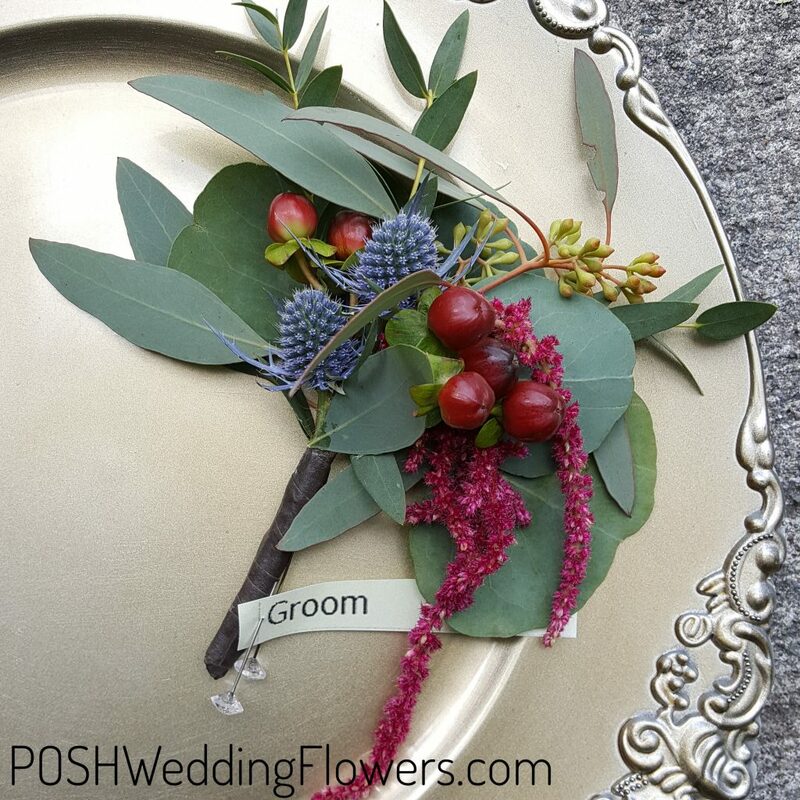 Her wild garden style bouquet became the centerpiece – all of her flowers coordinated. 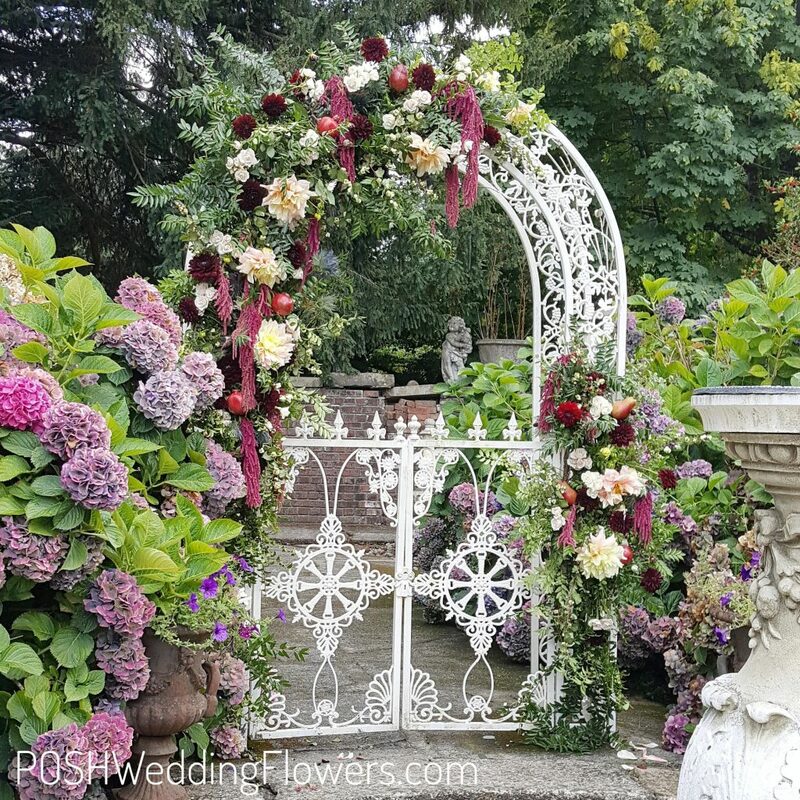 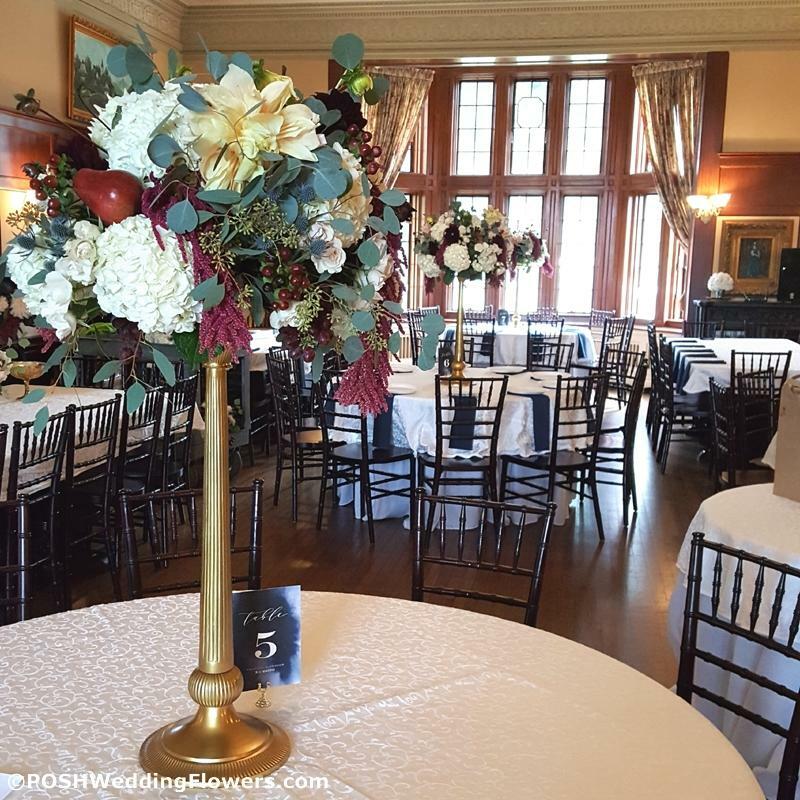 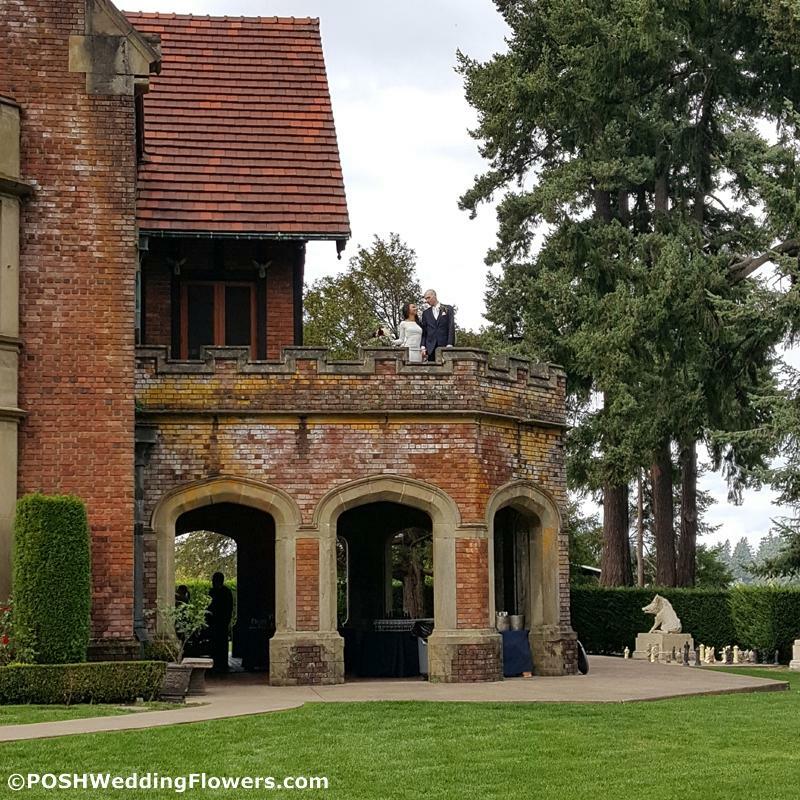 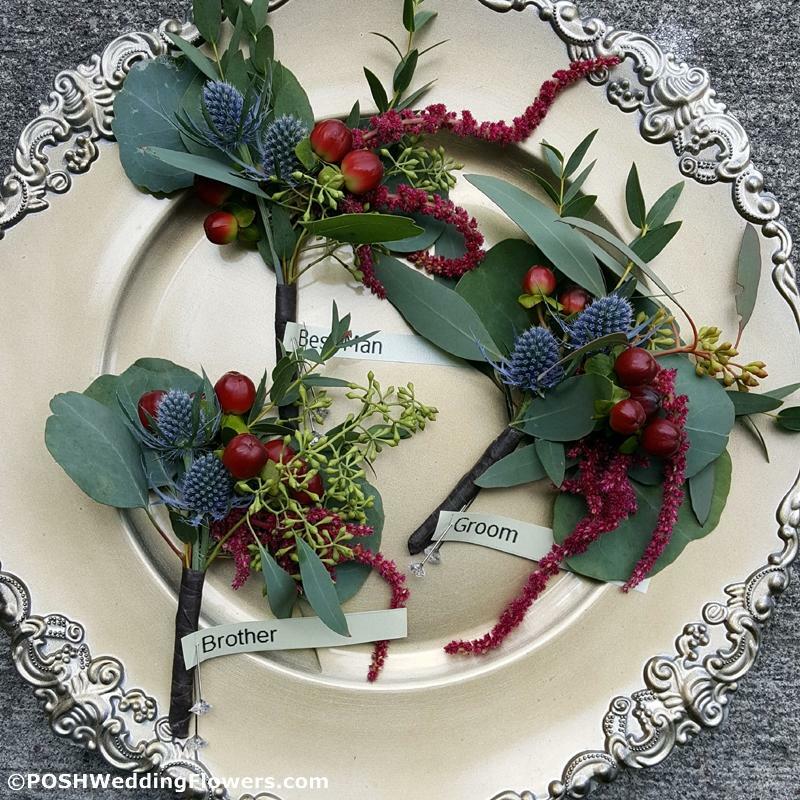 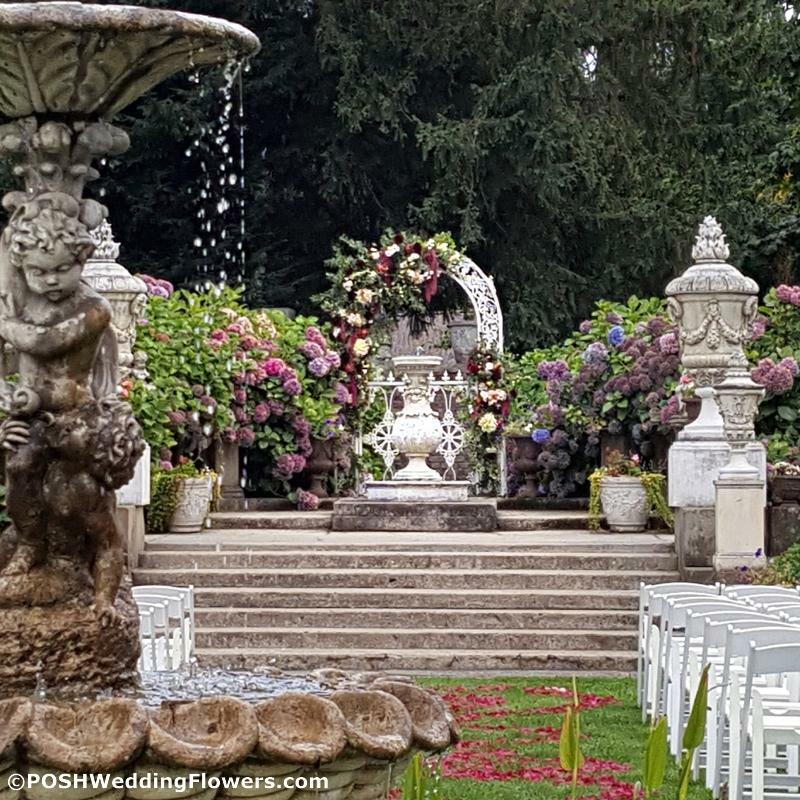 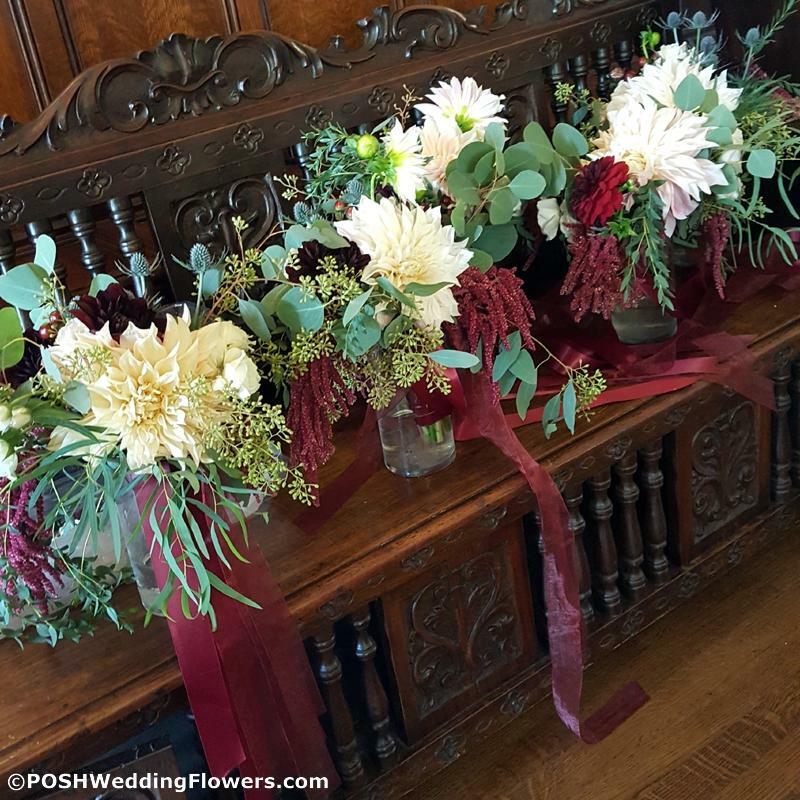 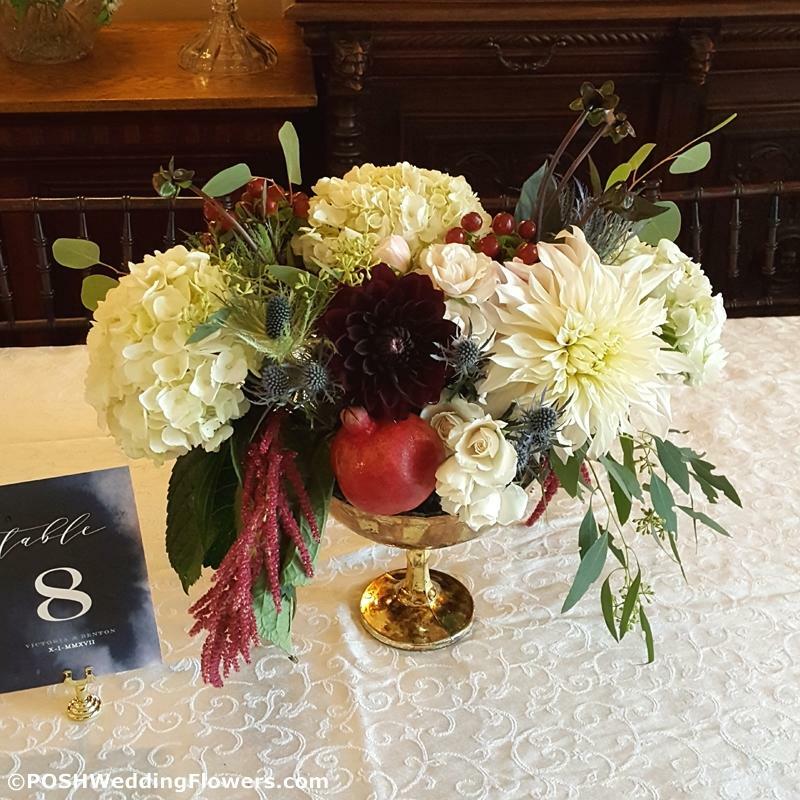 There was an untamed, asymmetrical arch arrangement for Thornewood’s Secret Garden arch, the centerpieces with dangling grapes & pomegranites, the free spirited bridesmaid bouquets. 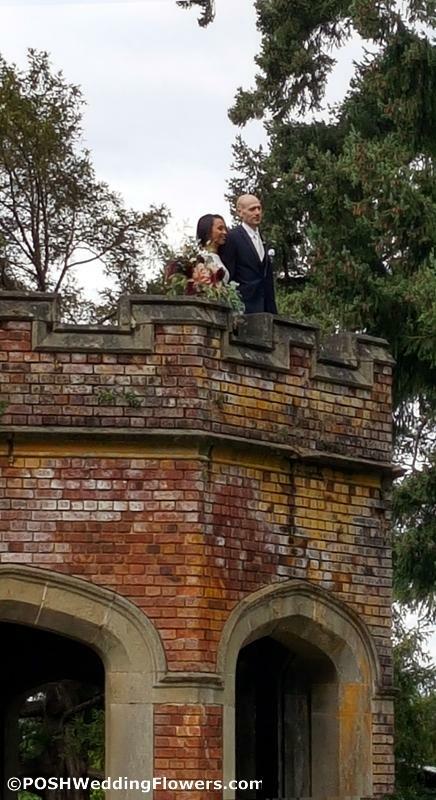 And Thornewood Castle was the perfect romantic backdrop.